Fiberglass carousel is a kind of durable ride which is widely used in playground, square, park, kindergarten, building area, funfair etc. 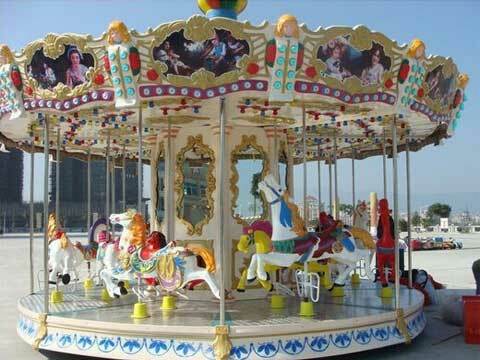 Most of the carousel rides are mainly adopts high-quality glass fiber reinforced plastics, wood, fiberglass, aluminum, metal and plastics. They have the feature of environmental, corrosion resistance, high stability and reliability which really help the carousel for sale manufacturer and park owners won a lot of attractions. Fiberglass(FRP) is a good corrosion resistant material & insulating material & thermal insulation material, have high tensile strength and compressive strength which will promise you a long lifespan of the carousel. 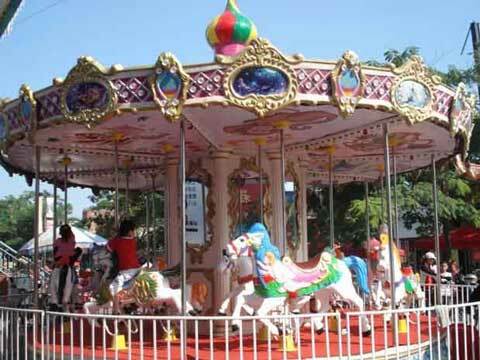 So most of carousel for sale are made by FRP & steel which provide you the steel frame, fiberglass decoration and different kinds of animals. Environmental automobile paint make the products looks more vivid and durable, fadeless. In addition to this, beston fiberglass carousel for sale also equipped with colorful LED lights and sweety music which makes this carousel rides more attractive for children. Music format support MP3, you can choose your favorite music through a USB disk; You can also control LED lights through” lighting button” which is in the control box. 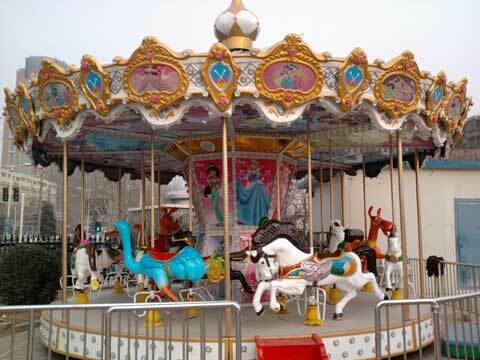 Beston is the largest carousel rides for sale manufacturer in China now. “Clients First” is our constant pursuit! All-around post-services to settle user’s troubles back at home. Rich experience in cooperating with famous brand. It can be made according to playgrounds and users requirements. Customized service is available, including size, color, design, depends on your idea!